Want to Support Veterans? Hire Them! You would be hard pressed to find a company or business that does not claim to support veterans or our military troops. These claims all sound great but without a plan they end up being mostly just kind sentiments. Did you know that todays transitioning military men and women are of the highest caliber in US history with regards to training, leadership development, and varied skill sets? Forward March Inc. has been helping organizations attract, hire, and retain the perfect veterans for their employment needs. Today’s veterans bring a wealth of experience, talent, and energy to your company. Syracuse University Institute for Veterans and Military Families recently published “The Business Case for Hiring a Veteran – Beyond the Clichés” which gives a lot of insight into the benefits that employers enjoy when they hire military talent. Benefits such as training and transferrable skills, technical training, comfort in discontinuous environments, trust, resiliency, team building skills, commitment, cross cultural experience, and experience with diverse work-settings are just a few of the things veterans bring to an employer today. Forward March Inc brings a wealth of experience to bear in helping organizations find, attract, and retain top military talent. Forward March Inc has had proven success finding the right military talent, at the right time, for the right job. Employers hiring veterans through Forward March Inc have the peace of mind in knowing that we can address all of their hiring needs. Forward March Inc can train your staff to attract, hire, and retain top military talent. 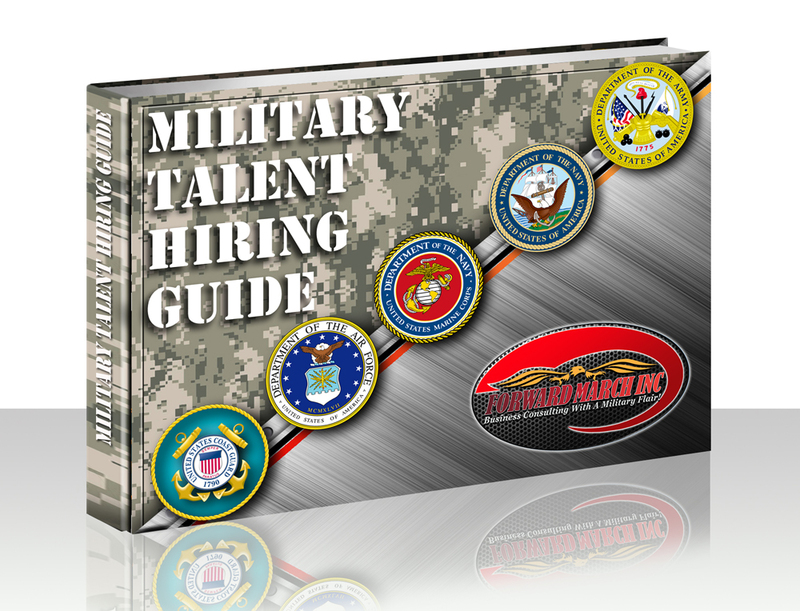 We have a comprehensive Military Talent Hiring Guide and outstanding training that can get your department staffing up positions very quickly. We can also help you to develop a pipeline and hiring strategy for success as well as train your HR organization on all the best ways to recruit military talent. Our training includes how to find and hire military talent from both the transitioning military and veteran military populations. Forward March Inc. customers like Tesoro are building strong veteran cultures within their companies. Our services do not end there. We can also help your organization to develop a very strong veteran culture with both new and existing veteran employees. Companies with strong veteran cultures enjoy many benefits to include greater productivity and professionalism as well as higher referral rates. 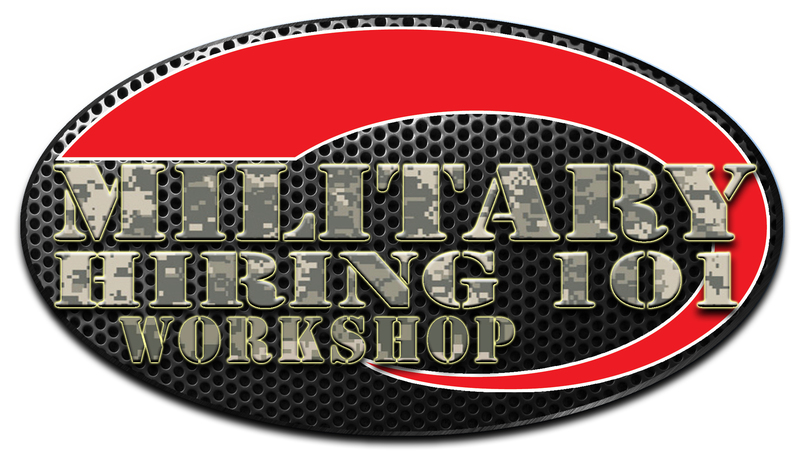 Check out our powerful Military Hiring 101 Workshops as well as our Camouflage to Corporate Conferences to jumpstart your organization’s military talent pipeline strategy and success! Contact Forward March Inc today to get your Military Talent Pipeline up and running, optimized, or created. If you are looking for high quality talent for your company or organization then give Forward March Inc. a call today. We help companies and organizations every day find, attract, hire and retain high quality military talent. What you may not know however is thatwe also have veterans ready to go to work for you immediately. Forward March Inc. receives input and then pre-screens veterans daily who are looking for a veteran friendly company to start a career with. No matter your skill or education requirements for your position we can help you. Many companies and organizations are unfamiliar with how to find, attract, hire and retain high quality military talent. Many do not realize that military talent represents a gold mine of highly trained skilled people who can make a huge difference with regards to mission success. Our clients frequently tell us “I don’t want just anybody for this position, I need…”. Those needs range from skills and experience to abilities to communicate and perform in a variety of environment with a variety of stressors. Military veterans are very often the best choice for their needs. Forward March Inc. has scalable solutions that can help organizations hire anywhere from one to a thousand or more employees. Forward March Inc. is a company of veterans committed to veterans. While we have a wide variety of services we can offer our customers we never NEVER charge a veteran. Recently we launched our Military Hiring Guide which is an excellent resource for anyone to use who is looking to learn how to hire military talent. This resource we combine with our training programs that can be done on location and in a very short period of time. With training from Forward March Inc. you will be ready to find, attract, hire and retain high quality military talent in no time at all.